Free up to 2.393 cubic metres of storage space by using the space over your car bonnet! The Over the Bonnet garage storage box is a secure alternative, you can lock your bikes, golf clubs, riding gear or general equipment safely. It also frees up to 2.393 cubic metres of storage space, by using the space over your car bonnet , which your tools and equipment would otherwise take up stored on the ground. 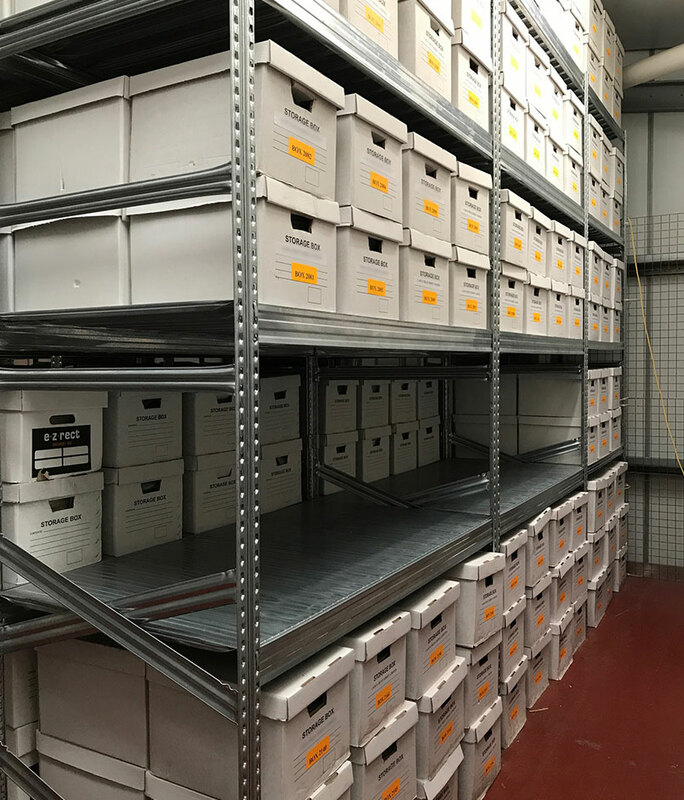 This is a storage unit that doesn’t take up any valuable parking space, enabling you to efficiently use your garage to its maximum capacity. Over the bonnet storage boxes are a genius innovation that provides the functionality of garage shelving, bike racks and storage cabinets all rolled into one unit, making it one of the most versatile and efficient garage storage solutions you’ll ever find and a true space saver. 2 point locking system with Titan Euro cylinder. Vented fascia doors, which helps to prevent the build-up of condensation. The levelling foot can be bolted to the floor. Comes in a stylish dusty grey colour. Steel painted polyester powder paint, which helps to prevent resulting. Supplied with a 10 year Anti-Perforation warranty. £1,075 – Assembled, delivered and installed. Call us or drop us a message to arrange. Our vertical bike locker stores your bike in the smallest of places. By storing the bike on the back wheel you use less floor space, so freeing up valuable garage or garden space. Inside this thick, weatherproof, steel unit is an easy access guide ramp and a wheel retaining clamp. Simply open the heavy duty door, push the bike into the wide guide rail. Your front wheel lifts over the wheel retaining hook, and then drops into place clamping the bike wheel into place. It’s that simple, your bike is now safely stored! £770 – Assembled, delivered and installed. Built from thick, heavy gauge weatherproof steel panels with a tough metal floor and large single door access. 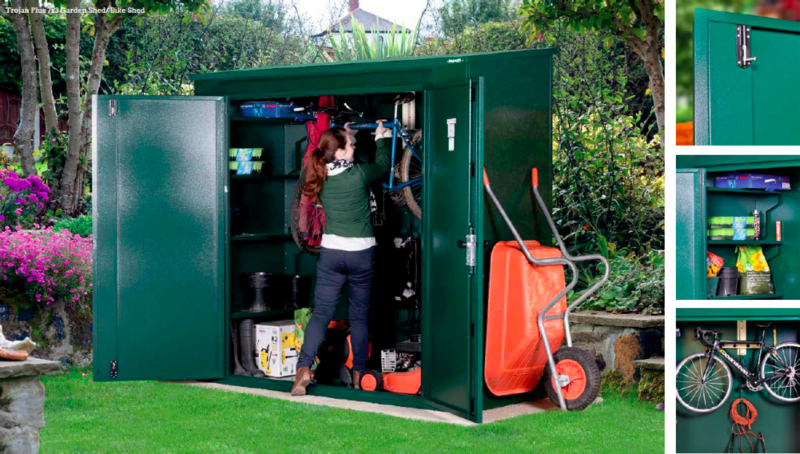 This combination garden store is ideal for keeping your everyday garden tools and equipment as well as storing a single road or mountain bike. The trojan plus is fitted with a heavy duty, 5-point locking system featuring a pick and drill resistant lock and internal dead bolts. Inside the Trojan plus features an optional integral bike rack, designed to hold a single bike. The bike rack features bike locking point and security screws, helping to keep your bike safe from theft. £760 – Assembled, delivered and installed. With the demand for space increasing, we offer innovative but proven solutions to the domestic and business market. Our systems are operating successfully in many distribution and warehouse sites in the Channel Islands. In addition, our solutions are adopted by many leading financial services companies.